Arab terrorist tries to stab Israelis in Old City of Jerusalem, neutralized by security forces. An Arab terrorist tried to stab Israelis in the Old City of Jerusalem, near the Damascus Gate, on Tuesday evening. Police forces who arrived to the scene neutralized the terrorist. There were no reports of injuries. Palestinian Authority (PA) officials said the terrorist was shot dead by security forces, according to AFP. The attempted stabbing attack took place after Israel shut down for the holy day of Yom Kippur, which began at sundown. The defense establishment completed its special preparations for Yom Kippur earlier on Tuesday. The IDF imposed a general closure on the Judea and Samaria area on Sunday and closed the crossings in Gaza, ending at midnight after Yom Kippur, subject to a security assessment. During the fast, roadblocks are set up on the main roads in Jerusalem to prevent vehicular traffic from eastern Jerusalem neighborhoods to western neighborhoods. Police and Border Guards are stationed near the checkpoints and deployed in frontline neighborhoods and at friction points to prevent disturbances. 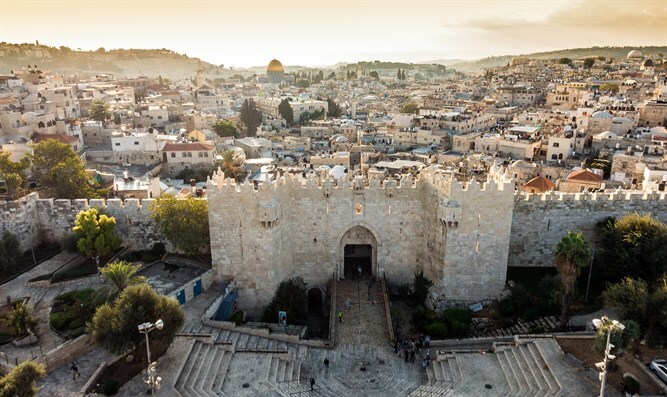 Last month, an Arab terrorist from the Arab Israeli city of Umm al-Fahm tried to stab a policeman in Jerusalem's Old City. Earlier this week, Ari Fuld, a 45-year-old immigrant from the US and resident of the Gush Etzion town of Efrat, was murdered in a stabbing attack at the Gush Etzion junction.